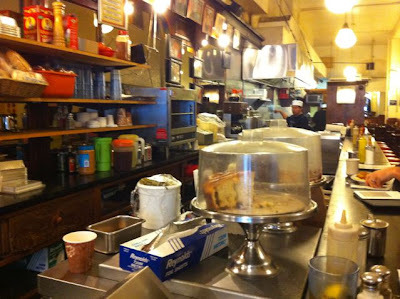 Eisenberg's is a classic New York sandwich place. You sit on a stool and order a BLT and cup of coffee and read the Post. 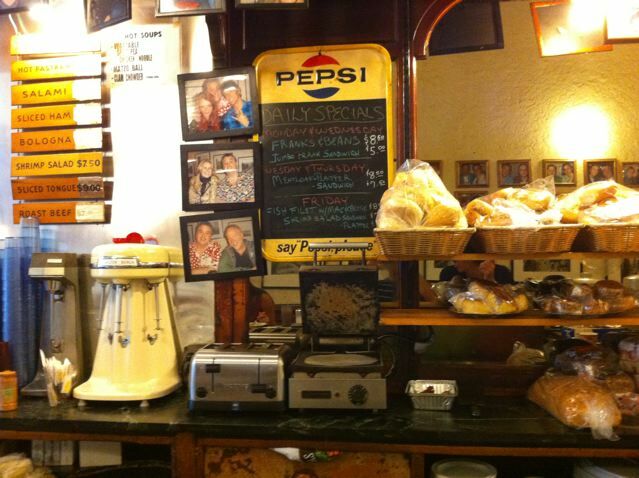 There used to be a guy that kind of reminded me of an old friend behind the counter, but I haven't seen him for a while. For lunch my favorite is the tuna and egg salad mixed together on a roll with lettuce. 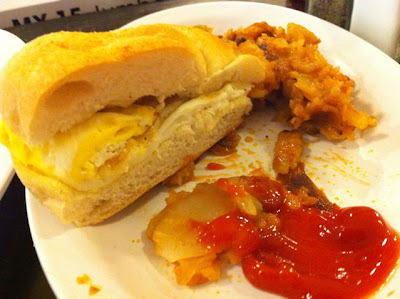 This morning I met Ford and had an egg sandwich and a side of home fries. the lime rickey is the real reason to go there.